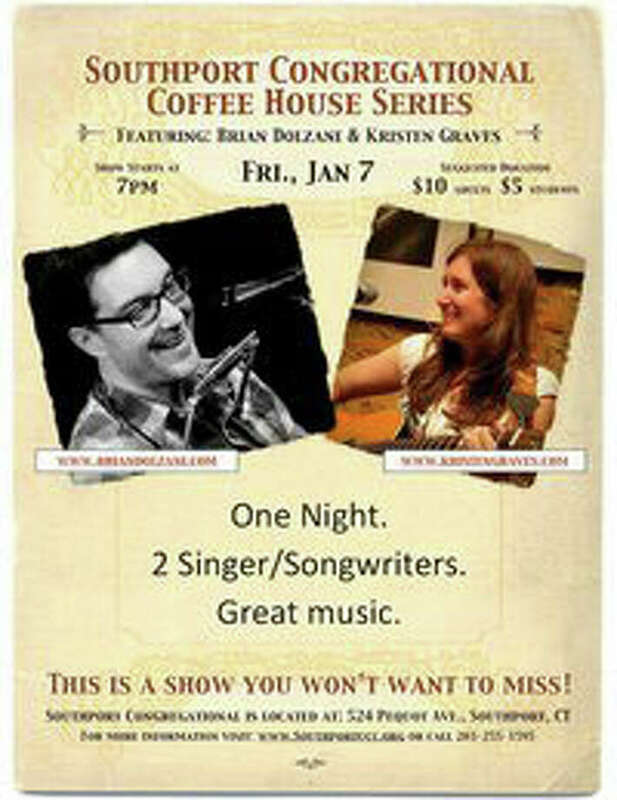 Start off the weekend with some live music at the Southport Congregational Coffee House series, featuring Brian Dolzani and Kristen Graves. On Friday night, catch the Southport Coffee House featuring singer/songwriters Brian Dolzani and Kristen Graves from 7 to 10 p.m. at Southport Congregational Church, 524 Pequot Ave. The suggested donation at the door is $10 for adults and $5 for students. For more information, visit www.southportucc.org. Learn the fine art of Chinese brush painting at the Fairfield Public Library, 1080 Old Post Road. The session for kids starts at noon Saturday, while instruction for adults at 1 p.m. Register online at www.fairfieldpubliclibrary.org or call the children's desk at 203-256-3166. Chivalry is not dead, it will come clankingly to life at the Pequot Library, 720 Pequot Ave., Saturday, from 2-3 p.m. Armor and others accoutrements of knighthood will be explored as the Higgins Armory Museum presents a program called, "A Knight's Tale." Admission is free. For more information, call 203-259-0346, ext. 18, or visit www.pequotlibrary.org. If the weather forecast is right, Fairfield and the rest of the region will be digging out Saturday from another significant snowfall. By evening, you may be inclined just to chill out and warm up with a glass of wine. One option is Barcelona restaurant at 4180 Black Rock Turnpike, which has a vast selection of vintages, both foreign and domestic. For more information, call 203-255-0800 or check http://www.barcelonawinebar.com/fairfield.htm. The wry, sometimes acerbic, observations of American literary great Mark Twain will be showcased in a theatrical introduction to his life and times at 2 p.m. Sunday in the Pequot Library, 720 Pequot Ave. Admission is $5 for library members and $10 for non-members; under 18 admitted free. To register, visit: www.pequotlibrary.org.